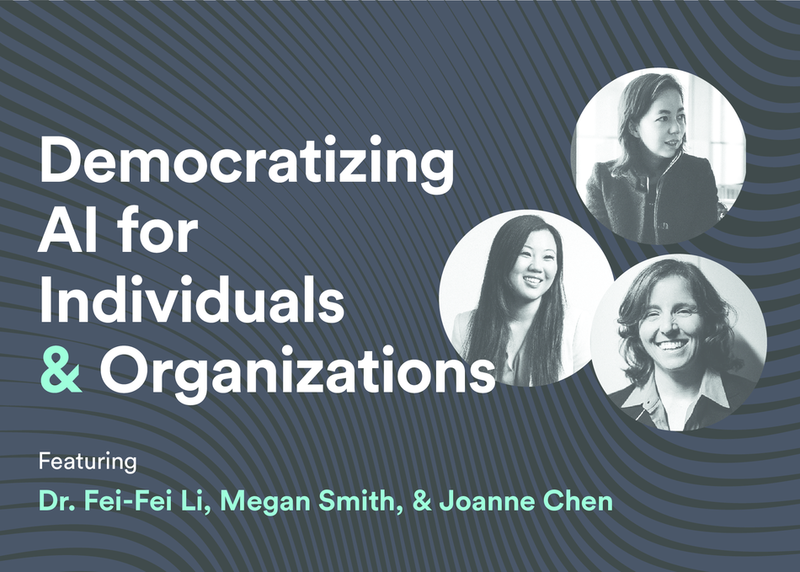 A conversation with Dr. Fei-Fei Li, Director of Stanford’s Artificial Intelligence Lab and Chief Scientist of AI/ML at Google Cloud, Megan Smith, CEO of shift7 who served as the 3rd U.S. CTO (2014-17), and Joanne Chen, Partner at Foundation Capital. AI has enormous potential for improving the world, from increasing productivity to creating new medicines. But to realize AI’s promise rather than its potential threats, the systemic barriers of entry must be fixed to engage much broader diversity in its creators. The technology must be made available to the largest possible community of developers, entrepreneurs, users, and enterprises -- welcoming far broader application. Li, Smith, and Chen will discuss the role the various players in the ecosystem creating and broadly distributing AI including large companies like Google, small startups, governments, civil society, and individuals, and the implications for all of us.